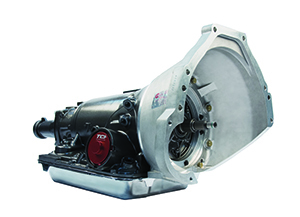 The new 4x Four-Speed Auto Transmission, Non-electronic 700R4-based from TCI allows the use of a 700R4 transmission with non-GM applications, without the need for difficult-to-install mid-plates. 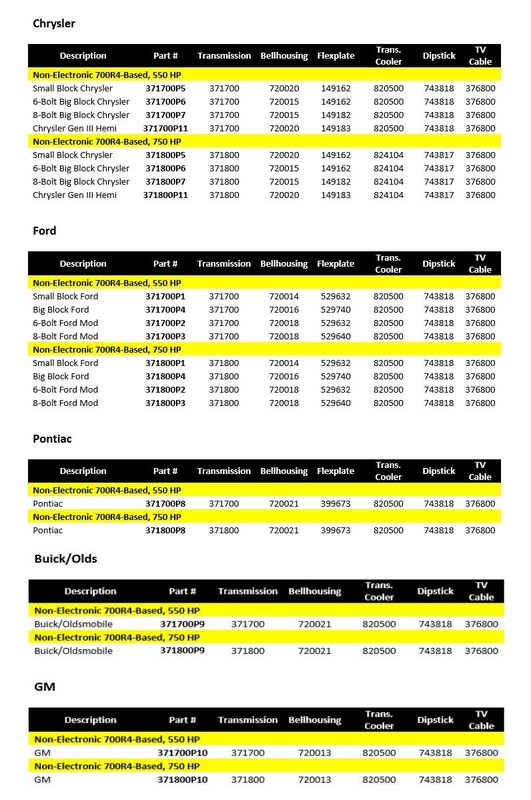 TCI designed the 700R4-based version of its new 4x Four-Speed transmission line with interchangeable SFI-spec bellhousings for easy installation of a 700R4 behind a Small or Big Block Ford, Ford Mod, Small or Big Block Chrysler, Gen III Hemi, Buick, Pontiac, Olds or GM engine. The fully mechanical transmission also includes an adapter flexplate, transmission cooler, dipstick and all necessary hardware. Application-specific kits do not require a transmission controller and use a Constant Pressure Valve Body, eliminating the chance of transmission failure due to a misadjusted TV cable and providing more freedom when setting part throttle shift points. A compact design means the transmission will fit in most applications without the need for tunnel modifications. The 4x Four-Speed Auto Transmission, Non-electronic 700R4-based is designed with street rodders in mind and will be sold in two power levels: 550 HP and 750 HP.